By now, everybody has heard of Tim Tebow. Whether you’ve heard about his dynamic playmaking in college at the University of Florida, his strong Christian faith, or his recent saga with the New York Jets, you’ve heard about Tim Tebow. 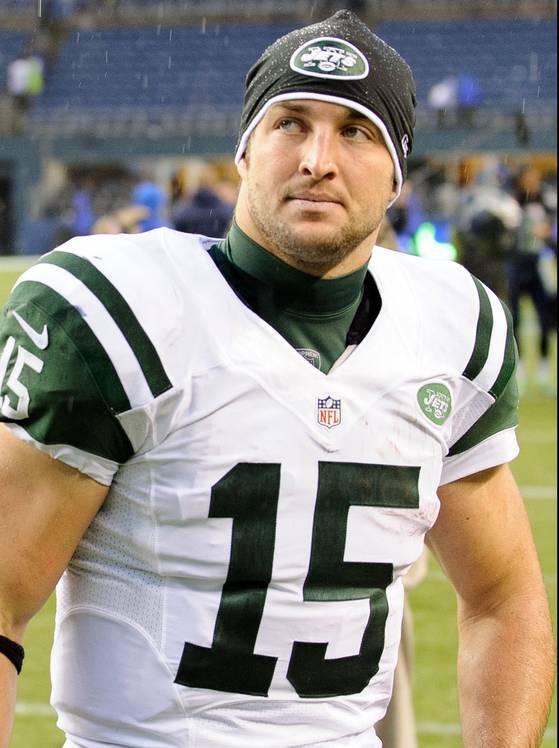 On Monday, the New York Jets announced they had released Tebow after just one season in New York. So that begs the obvious question: What’s next for Tebow? Chances are, he won’t be a starting quarterback anywhere in the NFL next year. From the time he was drafted by the Denver Broncos in 2010, scouts and analysts alike doubted he could be a successful pocket-passing quarterback in the NFL. He went 1-2 in 3 starts his rookie season, but impressed many in the NFL community with his 2011 season. He went 7-4 as a starter, throwing for 1729 yards and 12 touchdowns, and also running for 660 yards and 6 touchdowns. He had four come-from-behind victories in 2011, and led the Broncos to a playoff victory against the Pittsburgh Steelers by throwing an 80 yard touchdown on the first play of overtime. Tebow was traded to the New York Jets in 2012 after Denver signed QB Peyton Manning. Tebow played sparingly, mostly in a wildcat formation or as a short-yardage fullback. He threw just eight passes, and rushed the ball 32 times for the 4-12 Jets. Many fans and writers criticized the Jets for continuing to start the struggling Mark Sanchez at quarterback in place of Tebow. Tebow made $2.1 million in 2012 for the Jets. So now what happens to Tebow? Chances are, he will not be a quarterback next year. Multiple NFL teams contacted Tebow’s agent about signing Tebow as a tight end or fullback, but Tebow has insisted he will remain a QB. One team that had expressed interest in Tebow was the Jacksonville Jaguars. Tebow, who grew up in nearby Ponte Vedra Beach, FL, would greatly improve jersey sales and attendance for the Jaguars (who have had one of the lowest NFL attendances in the past 10 years). The Jaguars would be wise to sign Tebow and boost revenues, but Jaguars owner Shahid Khan has denied any interest in Tebow. “The Jacksonville Jaguars’ plans do not include Tim Tebow” Khan said in a team statement. Another option for Tebow is the Canadian Football League. The CFL’s Montreal Alouettes have expressed interest in acquiring Tebow’s contract rights. Alouettes GM said of Tebow, “He can come here and compete to be the backup to Anthony Calvillo (Montreal’s starter) and learn the game.” It could be a successful learning experience for Tebow: Jeff Garcia started his professional career in the CFL (with Calgary) and learned from Doug Flutie. Garcia later become a four-time Pro Bowler in the NFL with the 49ers and Buccaneers. Tebow could learn and become a star in Canada, eh? Finally, Tebow could go into coaching or public speaking. He could join former college coach Urban Meyer at Ohio State and become a quarterbacks coach. Tebow even received an offer from the Lingerie Football League to become a national quarterbacks coach. He has also engaged in several public speaking events, talking to youth organizations, charity groups, and even the Wichita State Shockers basketball team. Given his popularity and knowledge of faith and football, he could be a very successful public speaker. The Jets have many questions to answer after releasing Tim Tebow. They now have five quarterbacks on their roster: Sanchez, Greg McElroy, David Garrard, Matt Simms, and 2013 draftee Geno Smith. As for Tebow, there are many career paths open. Whether Tebow chooses to play as a backup quarterback, a fullback, a tight end, or a motivational speaker, he will definitely make headlines for years to come. With the 2013 NFL Draft less than 24 hours away, football fans are gearing up for the most exciting event of the offseason. NFL teams will look to upgrade their rosters with the most talented stars of college football. In preparation for the NFL Draft, we took a look at the incoming draft class, and ranked the top five players at each position. Here are our official 2013 NFL Draft player rankings. 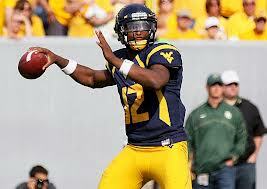 Geno Smith threw for 4,205 yards and 42 touchdowns at West Virginia in 2012. 1. Geno Smith – West Virginia – 6-3, 214 lbs. 2. Matt Barkley- USC – 6-3, 227 lbs. 3. Ryan Nassib – Syracuse – 6-2, 223 lbs. 4. E.J. Manuel- Florida State – 6-4, 237 lbs. 5. Mike Glennon- NC State 6-6, 220 lbs. 1. Giovani Bernard- North Carolina – 5-8, 202 lbs. 2. Eddie Lacy- Alabama – 5-11, 231 lbs. 3. Johnathan Franklin- UCLA – 5-10, 205 lbs. 4. Andre Ellington- Clemson – 5-9, 199 lbs. 5. Christine Michael- Texas A&M – 5-11, 215 lbs. 1. Tavon Austin – West Virginia – 5-7, 174 lbs. 2. Justin Hunter – Tennessee – 6-4, 196 lbs. 3.Keenan Allen – California – 6-2, 206 lbs. 4. DeAndre Hopkins – Clemson – 6-1, 214 lbs. 5. Cordarrelle Patterson – Tennessee – 6-2, 216 lbs. Texas A&M’s Luke Joeckel is projected to be the first overall selection in the 2013 NFL Draft. 1. Luke Joeckel (T) – Texas A&M – 6-6, 306 lbs. 2. Eric Fisher (T) – Central Michigan – 6-7, 307lbs. 3. Lane Johnson (T) – Oklahoma- 6-6, 303 lbs. 4. Jonathan Cooper (G) – North Carolina – 6-2, 311 lbs. 5. Chance Warmack (G) – Alabama – 6-2, 317 lbs. 1. Sharrif Floyd (DT) – Florida – 6-3, 297 lbs. 2. Star Lotulelei (DT)- Utah – 6-2, 311 lbs. 3. Ezekial Ansah (DE) – BYU – 6-5, 271 lbs. 4. Bjoern Werner (DE) – Florida State – 6-3, 266 lbs. 5. Sheldon Richardson (DT) – Missouri – 6-3, 294 lbs. Oregon LB Dion Jordan could be reunited with coach Chip Kelly in Philadelphia. 1. 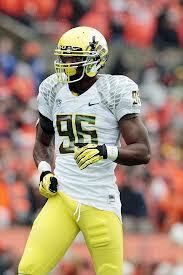 Dion Jordan (OLB) – Oregon – 6-6, 248 lbs. 2. Barkevious Mingo (OLB) – LSU – 6-4, 241 lbs. 3. Jarvis Jones (OLB) – Georgia – 6-3, 245 lbs. 4. Manti Te’o (ILB)- Notre Dame – 6-1, 241 lbs. 5. Alec Ogeltree (ILB) – Georgia- 6-3, 242 lbs. 1. Dee Miliner (CB) – Alabama- 6-0, 201 lbs. 2. Kenny Vaccaro (FS) – Texas- 6-0, 214 lbs. 3. Xavier Rhodes (CB) – Florida State – 6-2, 210 lbs. 4. Desmond Trufant (CB) – Washington – 6-0, 190 lbs. 5. Matt Elam (SS) – Florida – 5-10, 208 lbs. 1. Dustin Hopkins (K) – Florida State – 6-2, 193 lbs. 2. Caleb Sturgis (K) – Florida – 5-10, 188 lbs. 3. Brett Maher (K) – Nebraska – 6-0, 186 lbs. 4. Jeff Locke (P) – UCLA – 6-1, 209 lbs. 5. Quinn Sharp (P) – Oklahoma State – 6-1, 189 lbs. 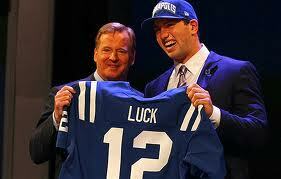 Last year the Colts selected Stanford QB Andrew Luck with the #1 pick. Kansas City owns the top selection this year. The 2013 NFL Draft begins Thursday at 8 pm with the first round, continues Friday night at 6:30 with rounds 2 and 3, and finishes Saturday at noon with rounds 4 through 7. More than 200 college football players will wait to hear their names called and there are many storylines headed into this year’s draft. Here are the big stories. In a draft historically dominated by quarterbacks and running backs, this year’s draft class features several linemen in the top of the rankings. Offensive tackles Luke Joeckel (Texas A&M), Eric Fisher (Central Michigan), Jonathan Cooper (North Carolina), and Lane Johnson (Oklahoma) are all ranked in the top 10 prospects according to ESPN’s Scouts Inc. Defensive linemen Star Lotulelei (Utah), Sharrif Floyd (Florida), and Ezekiel Ansah (BYU) are also ranked in the top 10 of Scouts Inc. Several teams like the Kansas City Chiefs, Oakland Raiders, and Philadelphia Eagles desperately need help on their offensive lines, so look for these names to come off the board very early. 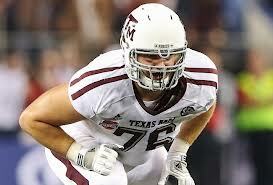 Luke Joeckel of Texas A&M is projected to be the first selection (Kansas City owns the #1 pick). Geno Smith is faraway the best quarterback prospect in the 2013 NFL Draft. The West Virginia product impressed scouts during the 2012 season (4,205 yards, 42 TD, 6 INT), at the NFL Combine in February, and at his pro day, in which he completed 60 of 64 passes. Smith could be picked #1 by Kansas City or #4 by Philadelphia, but will likely be drafted later at #8 by Buffalo, who has many questions at quarterback with Tavaris Jackson and Kevin Kolb. The other notable quarterback in the 2013 class is USC’s Matt Barkley. Barkley was the preseason favorite to win the 2013 Heisman Trophy, but disappointed with 15 interceptions and inconsistent play. He injured his shoulder in USC’s game against UCLA, and missed the remainder of the season. Now, scouts are questioning Barkley’s composure and durability, especially with a lingering injury to his throwing shoulder. He is likely a second round selection this year. CB Tyrann Mathieu (left) and LB Manti Te’o (right) have superior football skills, but complex personal backgrounds as well. Well, the season couldn’t have ended any stranger for Manti Te’o. The Notre Dame linebacker led the Irish to a perfect 12-0 record and a National Championship Game with his stellar leadership. He then finished second in Heisman voting to Johnny Manziel, his Irish lost the National Championship Game by 28 points, and Te’o became a media sensation when Deadspin reported that his girlfriend, believed to have died of leukemia before the season started, did not exist. In fact, this woman was actually a man who fooled everybody into believing he was Te’o’s girlfriend. Very strange indeed. Te’o then disappointed many people at the NFL Combine with a lackluster workout and an unimpressive 4.82 second 40-yard dash. The many questions surrounding Teo’s character and athleticism could drop his stock out of the first round. Then there is Tyrann Mathieu, or as he is known by fans, “Honey Badger”. Mathieu’s career at LSU started off great. He won the Cotton Bowl Defensive MVP award in 2010, and followed up with the SEC Championship Game MVP and Chuck Bednarik (nation’s best defensive player) Awards in 2011. He was known for his defensive prowess, athleticism, and skill in the punt return game. In 2012, however, he was dismissed from LSU’s team, for what coach Les Miles said were “violations of team rules”. In October 2012, he was arrested for marijuana possession, left LSU, and entered a drug rehabilitation program in Texas. Mathieu had a decent workout at the 2013 NFL Combine and his NFL Pro Day in March. He is undoubtedly a talented defender and kick returner, and his pure athletic ability will help him compete in the NFL. But with so many questions about his troubled past (Mathieu admitted he failed more than 10 drug tests at LSU), many teams could stay from the “Honey Badger.” He is currently projected by ESPN as a second or third round pick. Adam Scott made a dramatic birdie putt at the 72nd hole to take the lead on Sunday at the Masters. And he did it again on the 2nd playoff hole against Angel Cabrera to win the 2013 Masters, his first major championship. The championship also marks the first victory for any Australian at the Masters. Scott shot a 69 on Sunday to finish at -9. It looked like he would win the tournament outright when he holed a 20 foot birdie putt that went halfway around the cup before dropping on the eighteenth hole. He pumped his fist in joy and screamed “Come on Aussies!” before heading off to sign his scorecard. Just minutes later, Angel Cabrera hit an approach shot from about 150 yards in the fairway to two feet, setting up a birdie to tie Scott at -9. The two both parred the first playoff hole (18th) and hit the green on the second playoff hole in two shots. Cabrera’s birdie putt was a foot too long, and Adam Scott nailed his eight foot birdie putt for the championship. Jason Day led most of the way on Sunday afternoon. He started with a birdie and a chip-in eagle on his first two holes to take a one shot lead, but bogeyed four times on the day to finish at -7 and in sole possession of third place. He led as late as his fifteenth hole. Tiger Woods finished the tournament in fourth place at -5, four shots off the lead. Woods shot a 2-under-par 70 on Sunday, including three birdies on the back nine. Unfortunately for Tiger, he missed several key putts to continue his positive momentum, and could not find the clutch shots he needed down the stretch. His major championship drought now stands at 19 tournaments, dating back to the 2008 U.S. Open. He still needs four major championships to tie Jack Nicklaus’ record of 18. Other notable finishes include Brandt Snedeker (-4), who shot three-over-par on Sunday after holding a share of the 54 hole lead, Bubba Watson (+7), the defending Masters champion who recorded a 10 on the par 3 12th hole and shot 77 on Sunday, and Phil Mickelson (+9), who shot 73 on Sunday en route to a 54th place performance. Tianlang Guan, the 14-year-old Chinese star, shot 75 to finish at +12 for the tournament. He made no worse than bogey all week and earned low amateur honors. 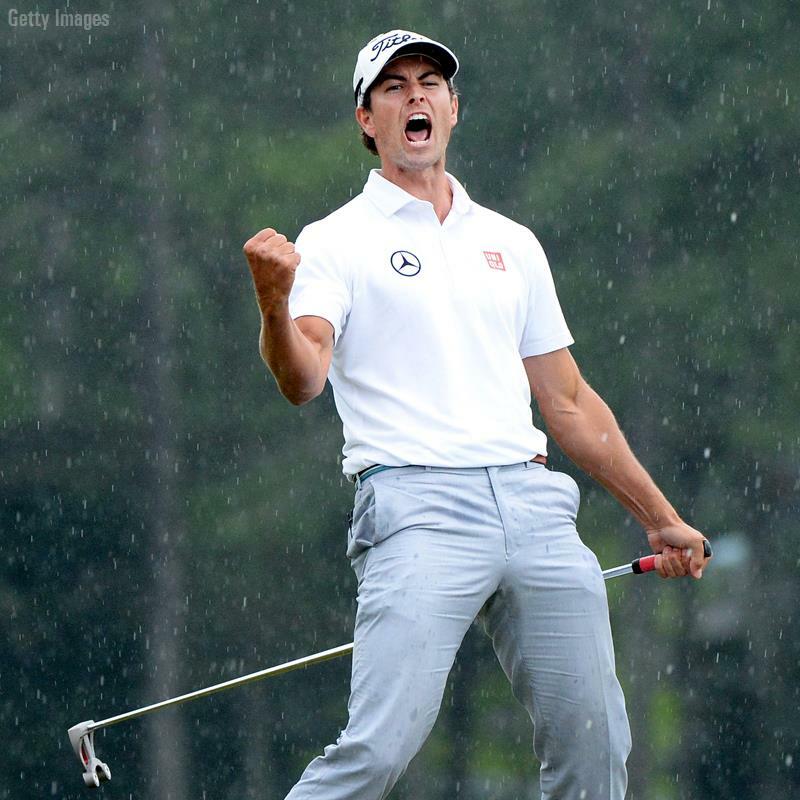 Adam Scott recorded two of the most dramatic putts in Masters history in his last three holes. After a promising start to his young career, Scott has the major championship he so highly coveted. Adam Scott is a champion, and Australians around the world will remember his name for years to come. 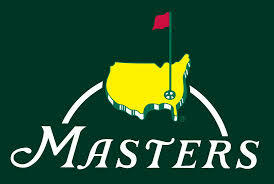 19 players stand within four shots of the lead after two rounds of the 2013 Masters at Augusta National Golf Club. The 36-hole leader at the 2013 Masters is Jason Day (-6) of Australia, who shot the round of the day on Friday (a 4-under 68). Day had six birdies on Friday, including four on the back nine. Day heads to Saturday with a one shot lead, and is no stranger to success at Augusta. In his first start at the Masters in 2011, Day finished at -12, good for second place. Perhaps this year Day could earn his first major title at the Masters. No Australian player has ever won the Green Jacket. Fred Couples, the 1992 Masters Champion, is once again in contention at Augusta National. The 53-year-old Couples opened with six birdies and a round of 68 (-4) on Thursday, and followed up with a score of 71 (-1) on Friday. His total of 5-under par is good enough to earn him a spot in the final pairing on Saturday. Mark Leishman of Australia shot a 66 yesterday but finished at 73 today, joining Fred Couples at 5-under par. Leishman, like many players on Friday, struggled in windier conditions on Friday, earning three bogeys to just two birdies. Still, Leishman is right in the middle of a crowded leaderboard. Jim Furyk, Angel Cabrera, and Brandt Snedeker stand at 4-under par, two shots off the lead. Furyk nearly won the 2012 US Open last summer at The Olympic Club in San Francisco, but faltered down the stretch. Cabrera has two major championships, including the 2009 Masters championship. Snedeker is the fourth-ranked player in the world and won the 2012 FedEx Cup. He’s back at #1. He’s back at Augusta. Tiger Woods is back as the overwhelming favorite to win the Masters (a tournaments he has won four times), and started out by shooting a fairly pedestrian 70 (-2) on Thursday. He recorded three birdies and one bogey, and played a solid, but not spectacular round of golf. “It’s a good start,” Tiger said. “But right now I’m only four back and I’m right there.” Tiger jumped out to a lead on Friday, but bogeyed 2 of his final four holes to finish at -3 for the tournament, three strokes off the lead. He made some mental mistakes down the stretch, but Tiger Woods is very much in contention heading into the weekend. Perhaps the most surprising player on the course this week was 14-year-old Tianlang Guan. The youngster from China punched his ticket to the Masters by winning the Asia-Pacific Amateur Championship, and came to Augusta not just to play, but to score well. At 14, he is the youngest player to ever play in the Masters, and got off to a hot start on Thursday shooting 73 (+1) to finish T-46. On Friday, he shot 75 (+3) and made the cut, despite being penalized for a slow play delay. Two time Masters champion and playing partner Ben Crenshaw was impressed with Guan: “He played a beautiful round of golf. He stays well within himself. He’s very confident and his thought process never got rushed. Very patient. Very impressive.” Clearly, Tianlang Guan has a bright future in golf for years to come. Bubba Watson 75-73 (+4, T-55th) *Bubba Watson was not permitted to use his new hovercraft at the Masters. The Louisville Cardinals finished the 2012-13 NCAA Basketball season on another high note Monday night, defeating the Michigan Wolverines in the NCAA Championship Game 82-76. Louisville finished the season with a sixteen game win streak, including a Big East Championship and a flawless NCAA Tournament record to earn the school’s third national title (1980 & 1986). The Cardinals finished the 2012-13 campaign with a record of 35-5, while Michigan finished 31-8 on the year. The Cardinals were led on the court by guard Luke Hancock, who came off the bench to score a career-high 22 points, and was named Final Four Most Outstanding Player. Senior guard Peyton Siva scored 18 points for Louisville, and forward Chane Behanan had a double-double with 15 points and 13 rebounds. Guard Kevin Ware watched from the sidelines in a leg cast; he broke his right leg in two places in Louisville’s Elite Eight game against Duke last Sunday. Since going down with the injury, Ware has been a source of inspiration and motivation for the Louisville basketball community. The win also marks the second national championship for Louisville coach Rick Pitino, who previously won a title with the Kentucky Wildcats in 1996. Earlier this week, Pitino learned that he was one of the twelve inductees into the 2013 Class of the Naismith Basketball Hall of Fame. Now, Pitino has made history by becoming the first coach to win a national championship with two schools. Michigan was led by Trey Burke, the 2013 College Basketball Player of the Year, who scores 24 points on 7-11 shooting. Spike Albright added 17 for the Wolverines, and Glenn Robinson III and Tim Hardaway, Jr. added 12 points apiece. Michigan shot 52% form the field in the loss, but also missed 7 free throws in the contest. The loss marks Michigan’s third consecutive loss in National Championship Game appearances (they previously lost in 1992 & 1993). 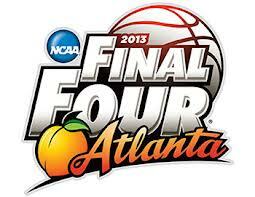 Louisville becomes the third #1 overall seed to win the national championship. Since the NCAA started naming #1 overall seeds in 2004, only three teams (2007 Florida, 2012 Kentucky, 2013 Louisville) have run the table and cut down the nets in April. Louisville was a deep, athletic, talented team in the 2013 NCAA Tournament, but this championship will be remembered for the legacy of Kevin Ware, and the determination of a team to rebound from tragedy to reach great heights.